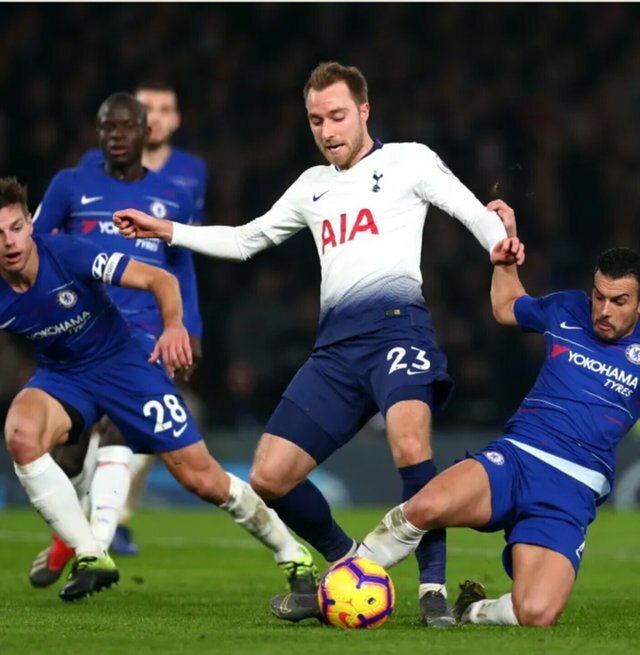 Chelsea won their match against Tottenham with a goal from Pedro and an own goal from Trippier. The first half ended 0-0 with Chelsea pressing high and it payed off in the second half. I must give a great kudos to the referee as he officiated with high level of maturity and professionalism. The win gives Chelsea a hope to be in top four as they still have an outstanding with Brighton. The followings are my view on CHELSEA fc after the match with Tottenham. Sarri showed the world that he is in charge of the team by dropping Kepa on the bench after is show against Man City. With this he restored discipline to the team. Sarri is gradually improving in tactical plan swap. He added more defensive tactic and directness to his style of play. It showed with the statistic that Tottenham has no shot on target. Jorginho gradually improving as he has good statistic defensively in the match but he needs to improve more and add more forward pass to his style. Sarri to me read the game but substiting Hazard, Hazard was tired and he was closely marked, subbing him was a great risk and great thing to do likewise. Once again Chelsea young players are ready to start with Loftus Cheek showing that he is ready. KOVacic has been exceptional but it so sad that chelsea might to be able to sign him permanently due to the transfer ban. Alonso tried in the match but Emerson is better. Azpicueta needs a reliable back up. I suggest Recce James should be brought back from loan to do that. There is a great adjustment in the team's mentality which they need to maintain.